Free GED preparation classes offered through New River Community College Office of Transitional Programs begin Tuesday, January 22 in Montgomery, Floyd, Giles and Pulaski Counties and the city of Radford. The classes run until May 9. 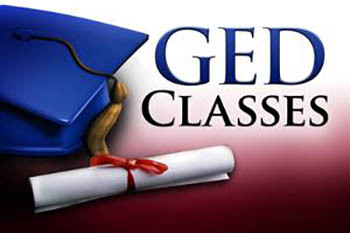 The classes help adults increase their skills to pass the GED exam and prepare for college or a career. Students will prepare to take the GED/high school equivalency exam, prepare for the Virginia Placement Test and learn employability skills. Those interested in registering or with questions may contact the NRCC Office of Transitional Programs at 540-674-3682 or adultbasiced@nr.edu.